This garden was started one year ago. It is an ode to simplicity. 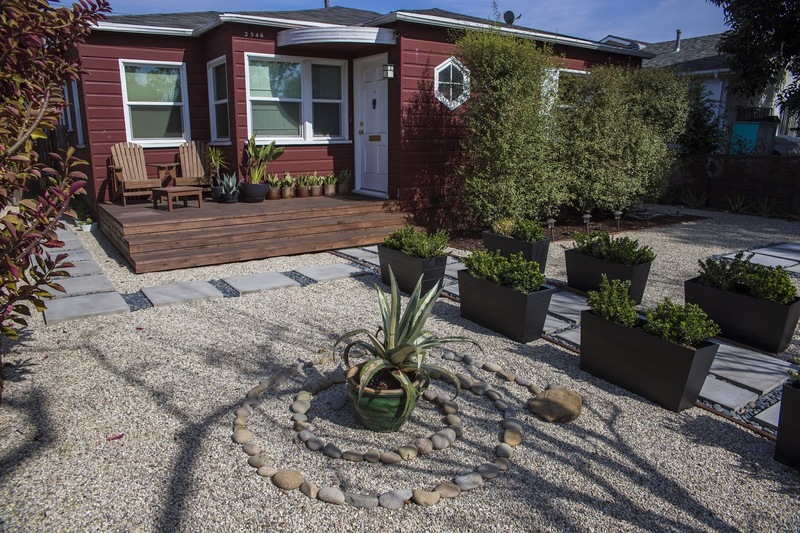 This do it yourself space was inspired by the peacefulness of Japanese gardens, but with a twist of sunny Californian desert. 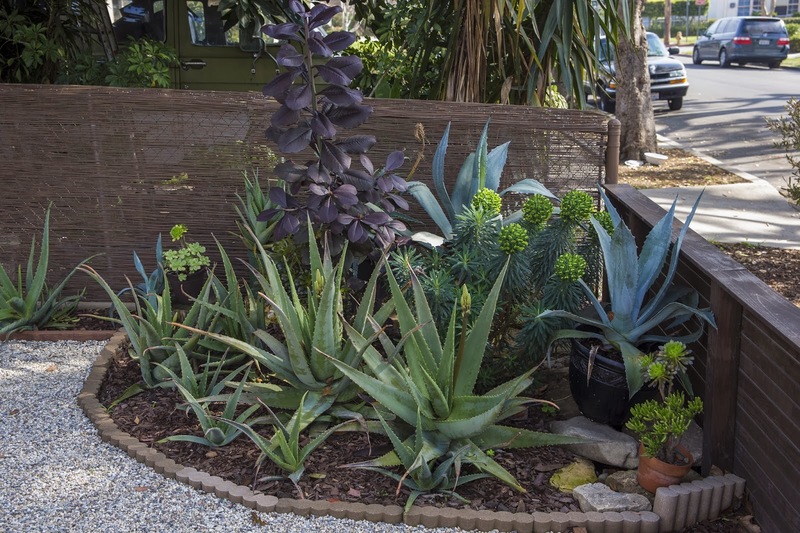 Most of the cacti and succulents were once gifted baby cuttings and have now fully grown into adults. 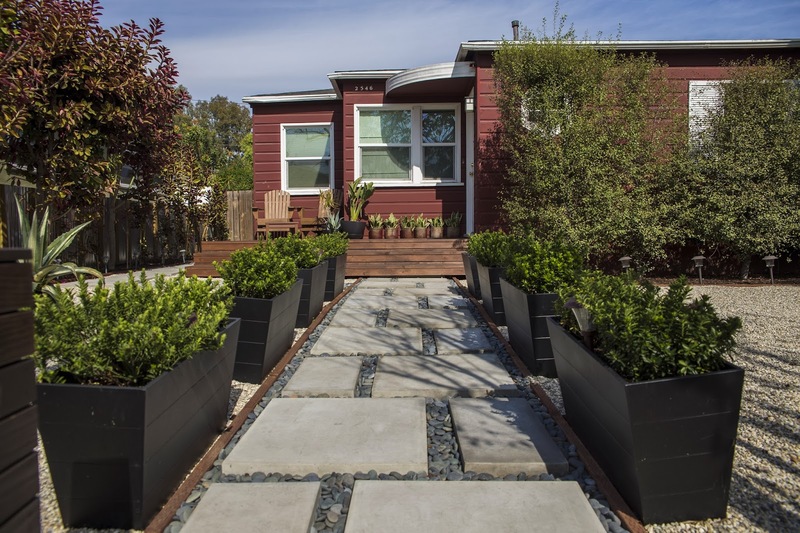 The hardscape was designed with water conservation in mind as well as an orderly and architectural focus. The two red trees on the front mark the entrance to a geometric concrete path to the house. The garden requires minimal watering and tending.